When social media was shiny and new, we talked about it constantly. Every new tool, every new publishing platform, every new social network fascinated by enabling us to reach out, to be heard, to connect with others in a new way, in a way that we couldn’t previously. Social media gave the people formerly known as the audience a voice. Social media gave us all a means to publish what we thought. Social media gave us all a means to connect 24 hours a day seven days a week, regardless of where we were, with our friends, our family, others who held our interest. But a few short years later, social media is no longer the new thing. It is a fixture in our lives. That doesn’t mean that social media has lost its relevance. It’s just that our attention has moved away from the shiny new objects, the new tools, to what they can help us do and how that affects the way that we relate to others and to society. Julien Smith and Chris Brogan are two smart guys who’ve spent a lot of time considering the interplay of social media and people, communities and organizations. And as they’ve done that they’ve gained insight into how people connect and form meaningful online relationships. They’ve tested their theories through podcasting, blogging, speaking, real-world events, by trying out virtually every means of connecting with others and then examining the effect that they had. Through them, we see that each and every one of us can be heard, can find community, can form relationships, can have impact. In addition to their online efforts, Julien and Chris shared their insights through their book, Trust Agents, a New York Times and Wall Street Journal best-seller. In Trust Agents, they examined the interplay of trust, reputation and influence in social media. And Julien travelled to Third Tuesdays across Canada to meet and talk to the community of communicators, marketers, public servants, business people and students who wanted to know more about how to build online community. Now Julien and Chris are back with a new book, The Impact Equation, their follow-up to Trust Agents. 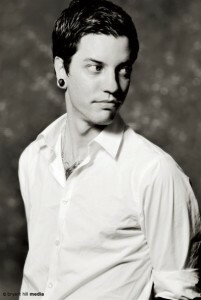 And once again, Julien is coming to Third Tuesday Toronto #3TYYZ and Third Tuesday Ottawa #3TYOW to share his insights. A lot has happened in two years. No longer is social media a shiny new thing for techies. Now, it’s mainstream. We’re all creating, sharing and connecting on it. But are we making being as effective as we’d like to be? Are we having the impact we want to have? Julien and Chris believe that we can have the impact we want to have. And they’ve charted out a formula – the Impact Equation – to guide us in this. The Impact Equation is something that everyone who participates in social networks or creates and shares content can use. And Julien Smith has tested what he writes about and personally demonstrated that we can have an impact on the world around us. If you’d like to participate in Third Tuesday with Julien Smith, you can register online to attend either Third Tuesday Toronto #3TYYZ or Third Tuesday Ottawa #3TYOW. The Impact Equation could make a real difference in how you approach online community and publishing. 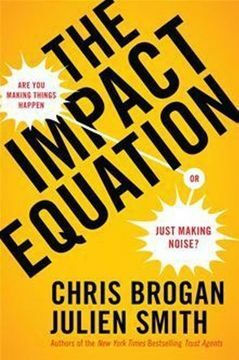 BONUS: Every attendee will receive a copy of The Impact Equation when you check in at the event. So, you not only can hear and meet Julien, you can get your copy of the book personally signed by the author.